This contemporary Maggie needlepoint design is handpainted onto 18 mesh Mono Zweigart needlepoint canvas. The design area measures 9" x 9". 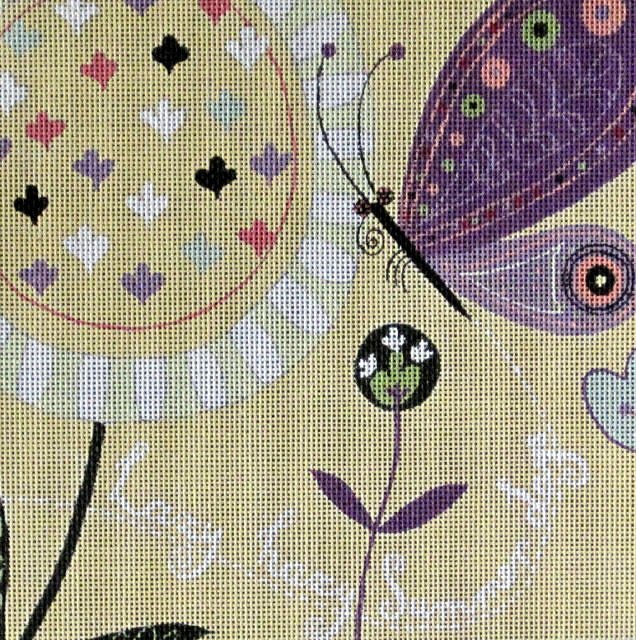 This Maggie needlepoint design is sold canvas-only or with fibers. if you select cotton we will send DMC embroidery floss; it you select wool we will send Bella Lusso boutique wool; the silk is Planet Earth Pepper Pot silks. The canvas usually ships in about 1 week.